American Funding Group Get The Cash You Need… Fast! How do I sell my note? Get a Fair Cash Offer – Here is your chance to “Be Done” with those Mortgage Payments. Want to sell all or part of your mortgage note in the Davie? You are at the right place, as we will buy your note for a very fair price. No hassles. No obligation. Want To Free Up Cash From Your Mortgage Note? We want to buy your note. Enter your note facts here and answer a few questions on next page for your FAIR cash offer! “The transaction was handled very well. We appreciate the way you were able to overcome the problems, particularly the lack of cooperation of the payor. We were very satisfied with the outcome.“ J. & B. M., Palm City, FL. And, for over 25 years, we have solved many issues which occur when selling a Mortgage Note. We have bought many notes that other note buyers couldn’t buy. Get A Fair Offer Fast… Within 24 Hours. We are Davie FL Note Buyers. we want to buy your private mortgage note, buy your agreement for deed or buy your real estate note. Are you looking to all or part of your real estate note to free up cash? Not only will selling your note allow you to pay off debts, make another investment with a higher return… but it will also remove the worry of collecting payments and handling necessary bookkeeping. Everything you are dealing with right now—the hassle, the stress, the waiting for your money, ALL OF IT—could be GONE in a few short weeks (see how below). What Types Of Private Notes Can Our Davie FL Note Buyers… Buy Quickly? At American Funding Group, we buy all kinds of private mortgage notes across the U.S. Connect w/ us at (772) 232-2383 and we’d love to make you a fair offer on your note. Why Work With American Funding Group To Sell Your Note For A Fair Price? We are Davie FL Note Buyers, but we have also been buying notes across the country for over 25 years. And, we have learned to deal and overcome problems that other note buyers couldn’t do. We are not note brokers and there are no commissions or fees ever. 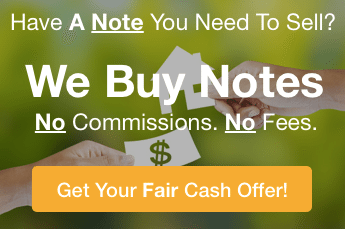 We are professional Davie FL note buyers with an exceptional note buying program to permit you to sell all or part of your note fast. Our process is simple and efficient. (Go Here and Learn How To Sell Your Mortgage Note ››). Call us anytime at (772) 232-2383 or fill out the short form on this page to get started. 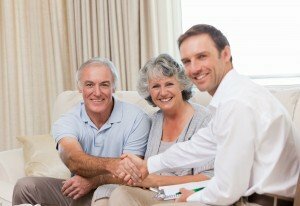 So How Does The Process To Sell My Mortgage To American Funding Group Work? Selling All Or Part Of Your Mortgage note couldn’t be simpler… Our local Davie [market_state} Note Buyers Program at American Funding Group is pretty straightforward. First: Fill out the short form on this website or give us a call at (772) 232-2383 and tell us a little about your real estate note. Then: We’ll appraise your note to deliver the best purchase price to you. The the fun part: You’ll have your money wired into your bank in 3 weeks. The process is very smooth. We’ll keep you “plugged into” every step along the way. How Much Will We Pay? : Since every property, every borrower and every note id different, We will develop a purchase plan tailored for your situation. We can buy all note payments and you will no longer have any concerns as to whether the note will perform in the future. Or, we can get you more money over time by buying a part of the note now and more of the note in the future. (ask us how by calling (772) 232-2383 today!). It’s That Simple. Get Your ALL Cash Offer By Tomorrow. Have Cash In Your Hand Within 21 Days. 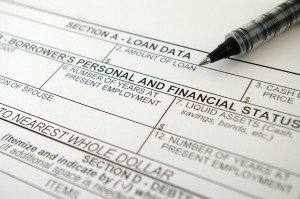 We’ll Help You Weigh All Of Your Options Before You Sell Your Note. We Are Local Note Buyers… So Let’s Chat! Get Started Below. Sell Your Note: Get A Free Quote Below! We are mortgage note buyers; a real estate solutions and investment firm that specializes in helping noteholders liquidate real estate notes fast. We are not realtors, we are notebuyers and problem solvers who can buy your real estate note fast with a fair all cash offer.